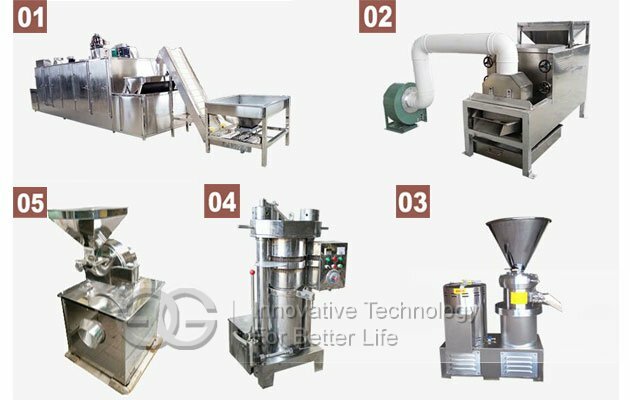 The cocoa powder production line is consisted of cocoa bean roasting machine,cocoa bean peeling machine,cocoa bean grinder,hydraulic oil press,powder grinder and powder packaging machine. 1. 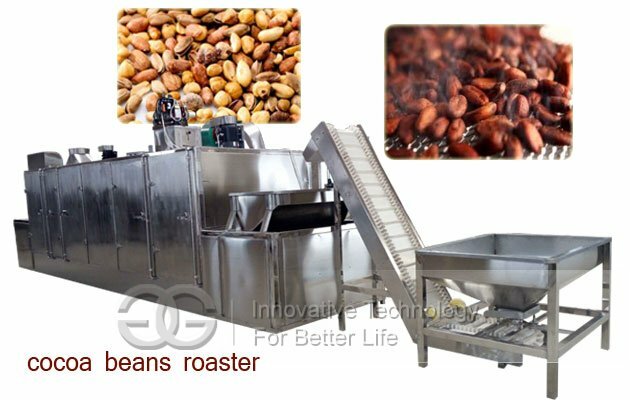 Cocoa bean roasting machine: There are many types of roasting machine can be used to process cocoa beans. This drum type cocoa beans roasting machine can record temperature continously,which adopts heat conduction and thermal radiation theory scroll uninterruptedly pushed by screw panel inside the drum, to be heated evenly. 2. 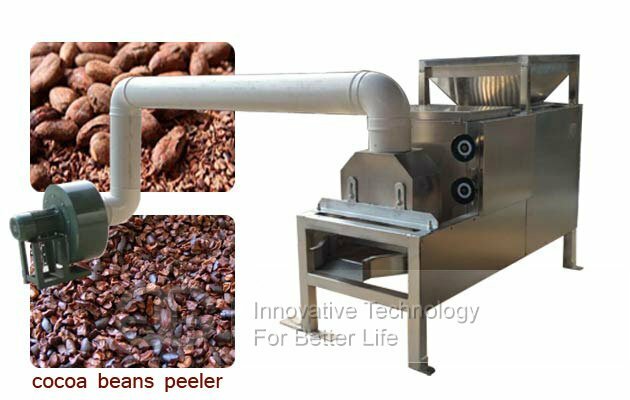 Cocoa bean peeling machine:This machine has reasonable design, simple operation, safe and reliable, with high efficiency, energy conservation, environmental protection, which is an ideal equipment to cocoa bean peeling. 3. 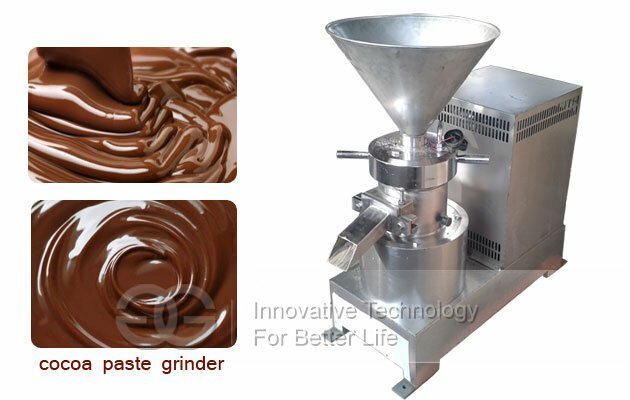 Cocoa beans grinder: Put peeled cocoa beans into grinding machine to make cocoa bean paste.This grinder machine is mainly used to make nuts, seeds and beans into butter. 4. 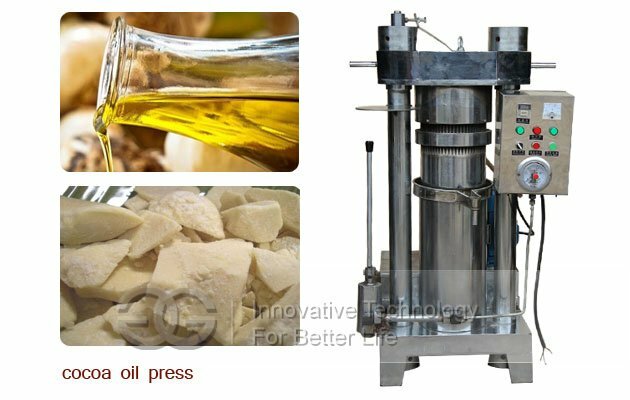 Hydradulic oil press: Suitable for cold pressing or hot pressing any oil seeds and oil plant, such as tiger nut, walnut, peanut,sesame seeds, almond etc.Especially for pressing sesame, pine nut, walnut, and so on valuable oil seeds. 5. 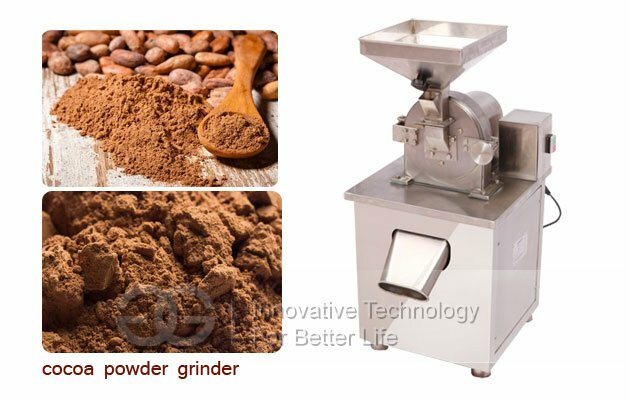 Cocoa Powder Grinder: After pressed oil, the leftover or oil cake can be used to grind into powder. Before this, you can also use a coarse crushing to crush the oil cake into small particles.